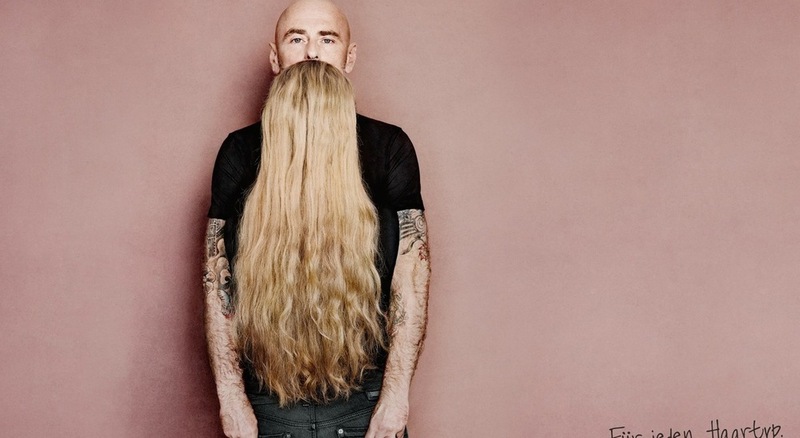 Im loving this Publicis Switzerland campaign "For Any Hair Type" for Garnier Fructis, as between many boring or overly edited advertising photos this definitely finds some originality, shampoo that features guys with long beards that aren't really beards and aren't really attached to the guys. With the ad Garnier is responding to the fact that shampoo is for both men and women and not specific to one specific hair type. They don’t make a distinction between men and woman. So now you can find in the shower one shampoo, and not 100 bottles specific for him or her. The slogan ’for every hair’ gets a whole different meaning through this. At first sight it just seems three cool men with beards. But if you look closely to these hairy illusion, you see there are three girls standing before them. What makes this illusion even better is that the hair colors of the models match and at first sight it looks very real.